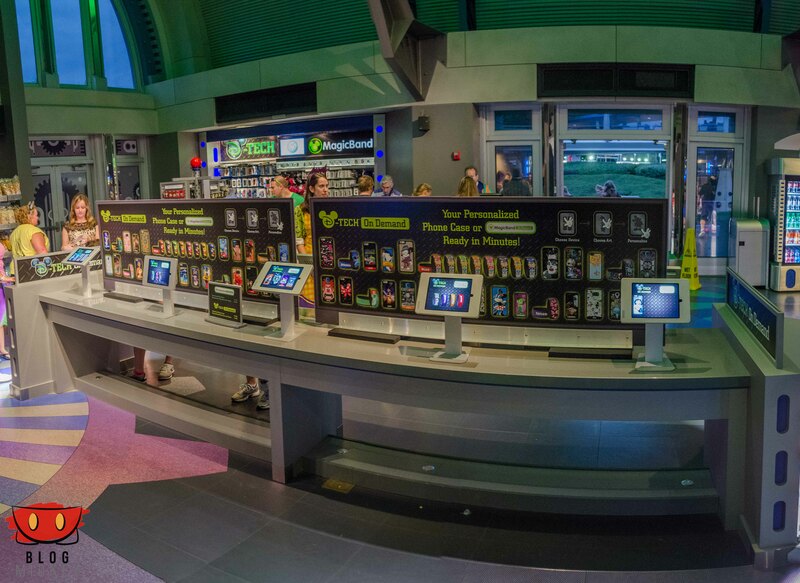 PHOTOS: MagicBand on Demand station inside the Tomorrowland Power & Light Co.
Disney recently announced the opening of a brand new MagicBand on Demand station inside the Tomorrowland Power & Light Co. (the Space Mountain gift shop). 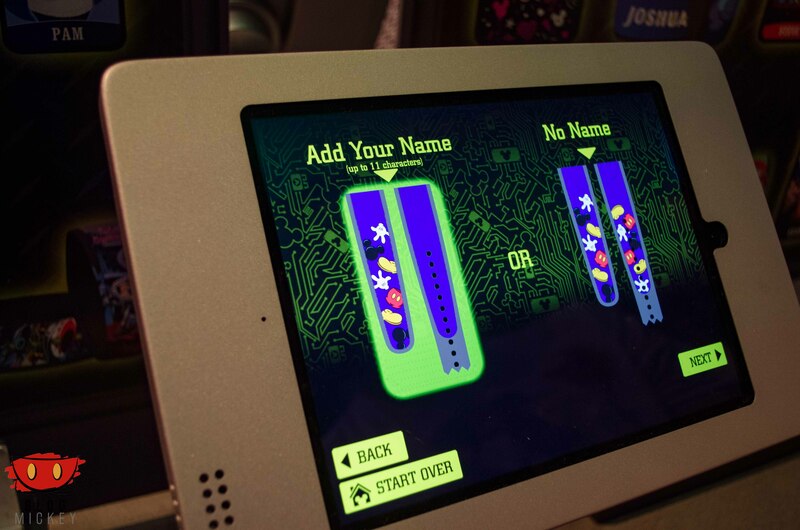 We took a look at the layout and process of creating your own personalized MagicBand. 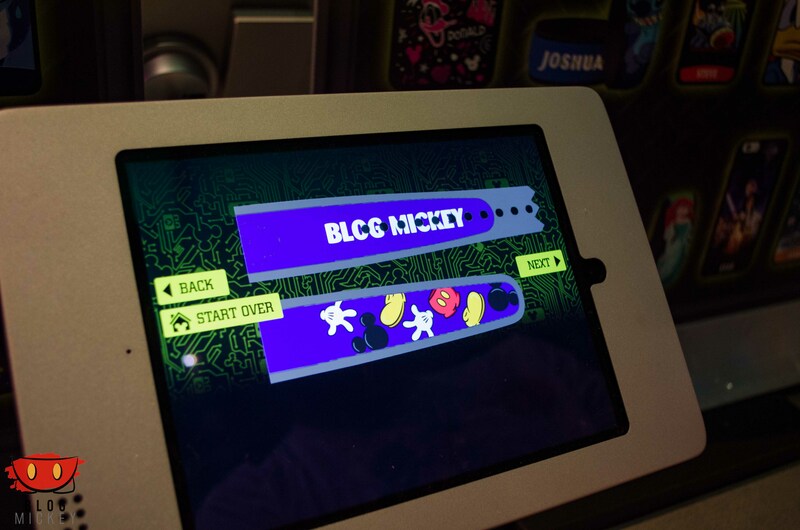 Guests can choose between a customized MagicBand or phone case. The phone cases are currently only offered for Apple iPhones and the Samsung Galaxy line. We decided to go with a custom MagicBand. 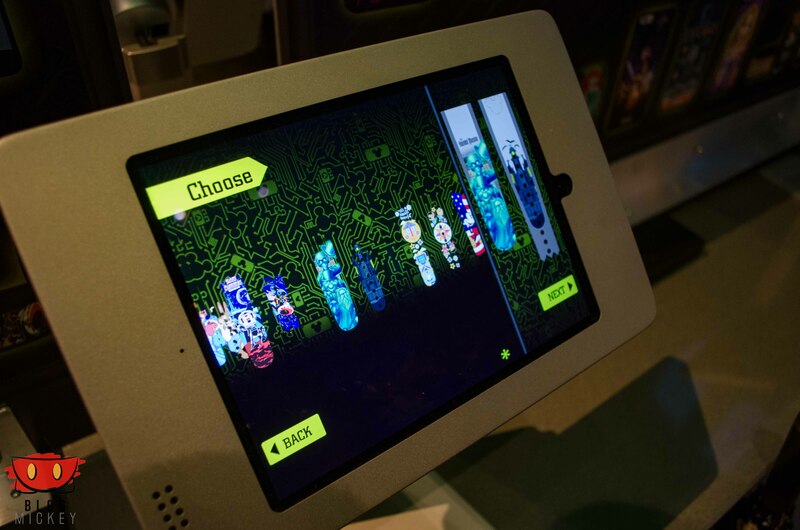 We were met with quite a few options ranging from attractions to characters to adding a custom text. You could then choose what color MagicBand you’d like the design printed on, including purple. We decided on a design that allowed us to put our name on it. 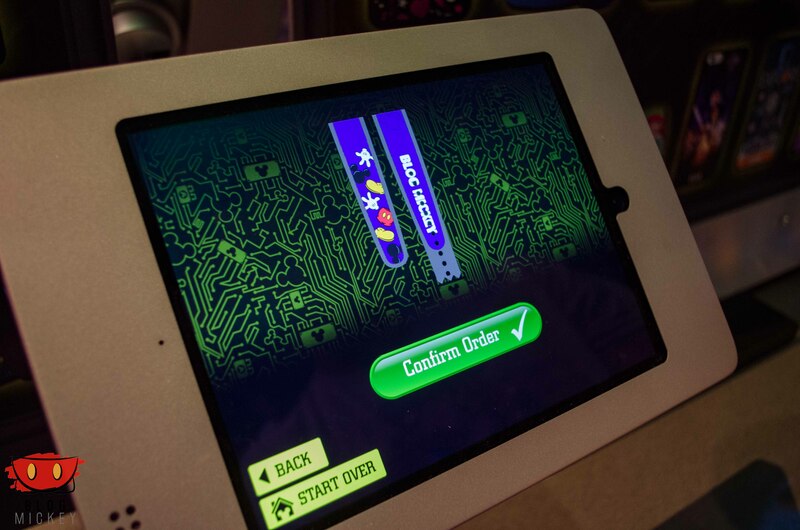 After that, you could confirm your order and your MagicBand was created! While we didn’t actually get the MagicBand, Cast Members told us the printing process was currently running at about 30 minutes, but that they’ve been averaging closer to 15-20 minutes. That said, your wait will vary based on the time of day and how many guests are waiting for their order before you. 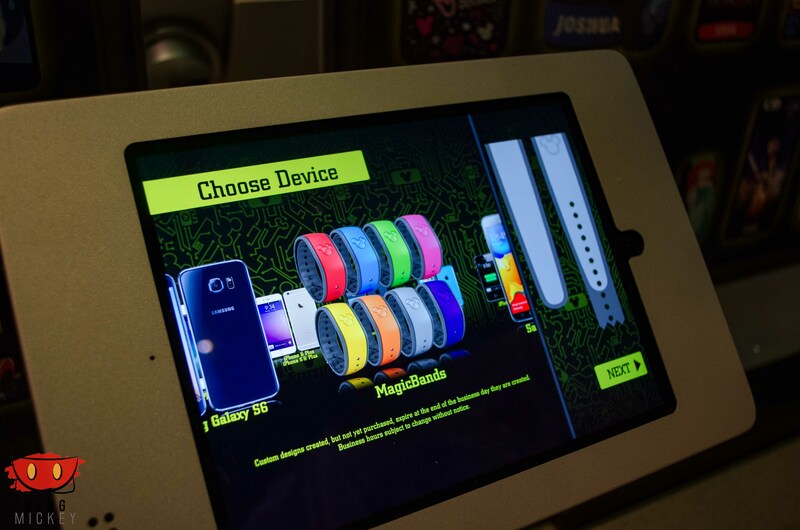 A custom MagicBand will run you $21.95 while a personalized retail MagicBand, as seen above, is $29.95. 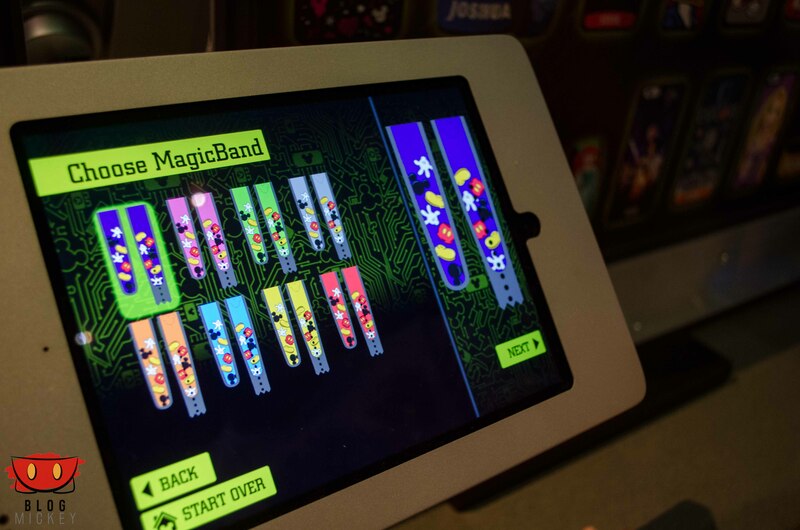 Located in the Space Mountain gift shop, you can’t miss the MagicBand on Demand station. Please note that you don’t have to ride Space Mountain to get to this gift shop. 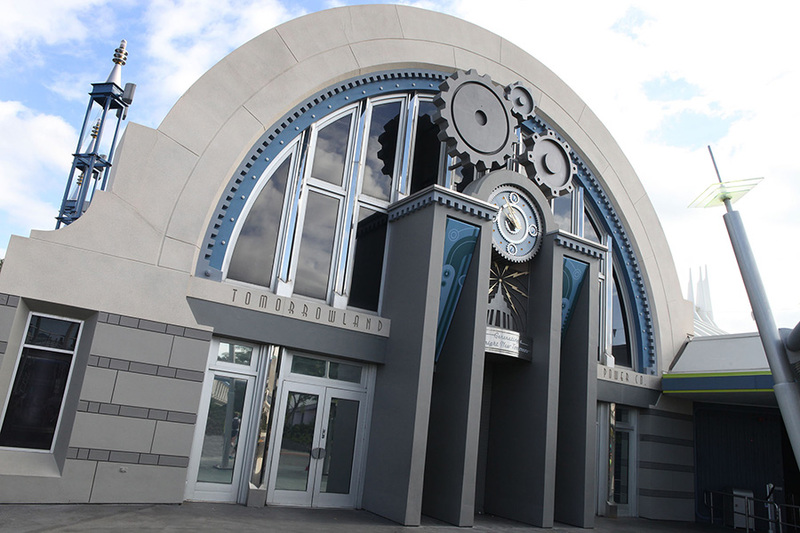 It’s located to the left of the entrance to the attraction. 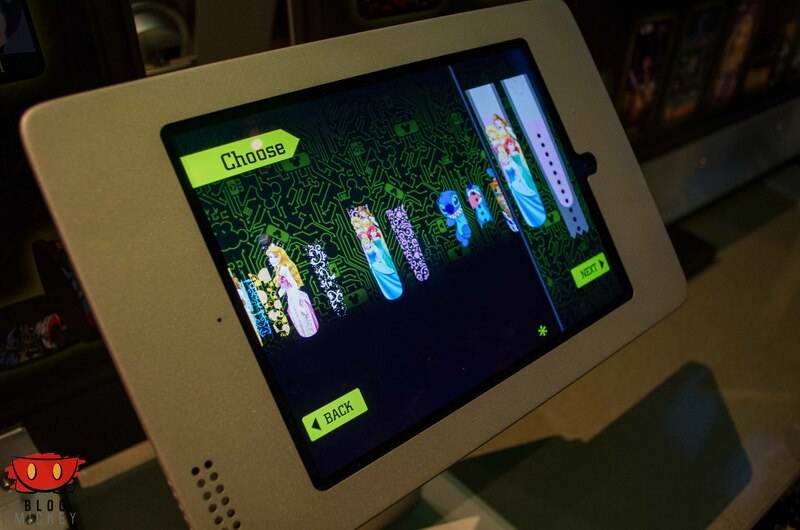 A line of iPads sits atop a two-sided table for you to customize your MagicBand or phone case. 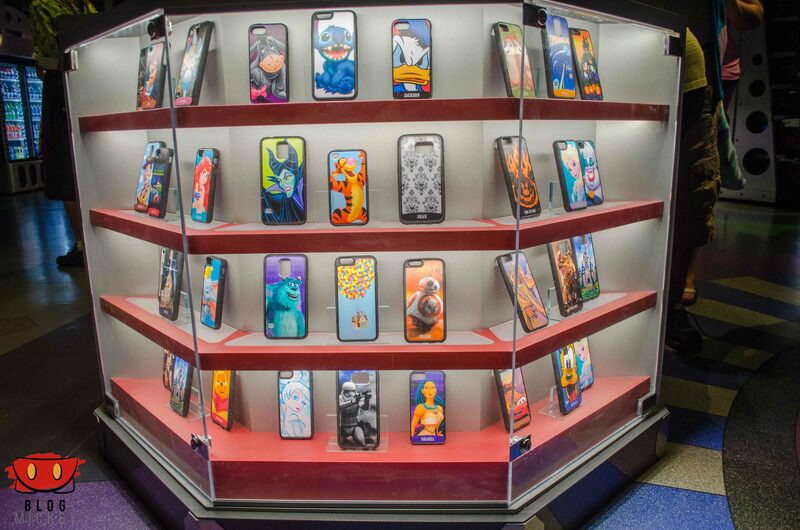 The table also features a display of some of the phone case options on the end. 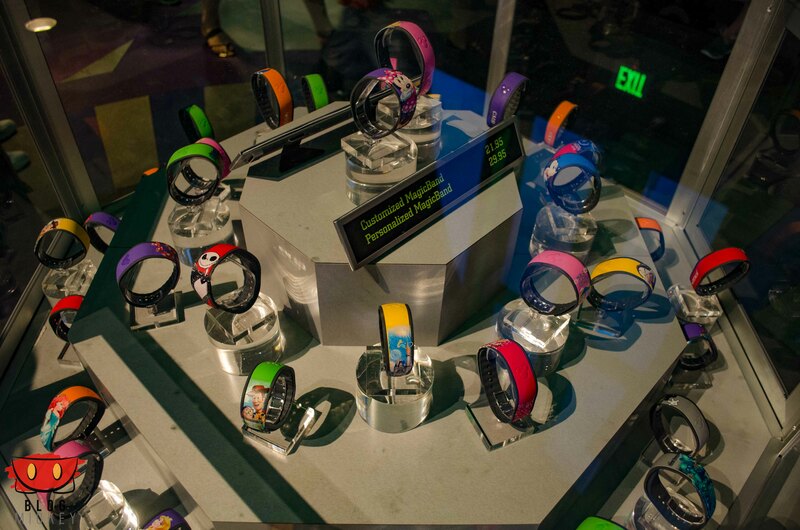 Nearby, some of the customizable MagicBands are on display. 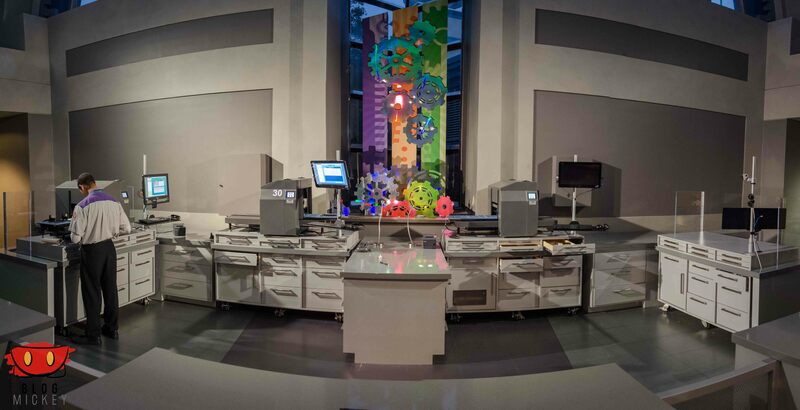 At the back of the Tomorrowland Power & Light Co. you can find the machines that actually print out your order. Cast Members said they just recently added another machine as the first machine “went on break” too often. So there you have it! If you love MagicBands like we do and want to personalize it for your vacation. 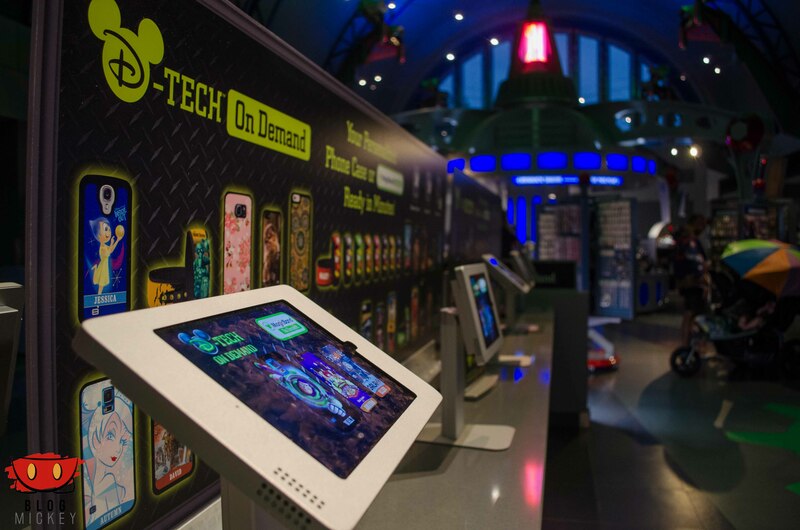 Head on over to the MagicBand on Demand station in the Tomorrowland Power & Light Co.